Morphy Auctions in Denver, Penn., put nearly 1,000 antique guns up for bid, and a few swords as well, just in time for the Christmas shopping season. They ranged from practical, workhorse-style guns to Nazi pistols and samurai katanas. Some of the rarer items, like the revolvers from the Wild West, fetched tens of thousands of dollars. This Colt Model 1860 is a cap and ball revolver used by the Union Army during the Civil War, giving the North a winning edge over the Confederacy. 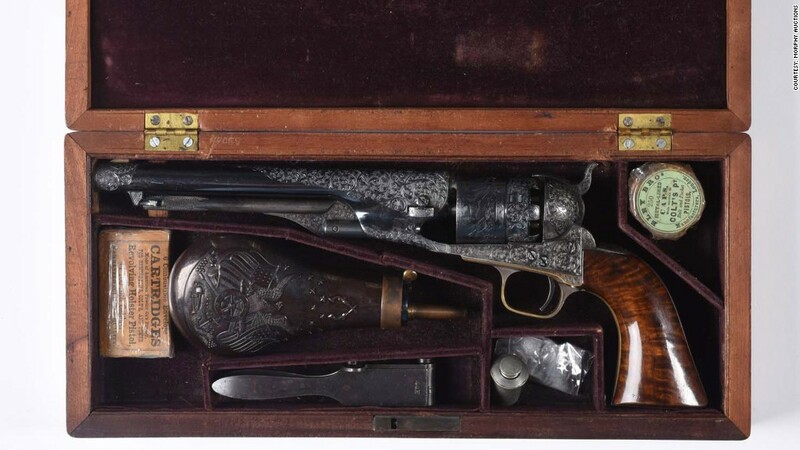 The .44 caliber model is engraved and silver plated, with walnut grips and a velvet-lined case containing gunpowder flask, cartridges and bullet mold. It was the top selling item in the auction.